A sneak peek into what goes into the mall-retailer relation. The success of any shopping centre is based on studying and proper understanding of catchment area. The point to be kept in mind is that every brand sells but the target audience differs. The proportion of categories available is also something that is of crucial importance. Referring to the criteria for selecting potential retailers, Paras Arora, Sr. Vice President, Moments Mall says, “At Moments, we undertake a robust customer research with categories and wish list in terms of brands. We also follow a strategic leasing policy based on zoning, category mix and adjacencies. Moments is following a well-planned and executed tenant mix , which will help the mall sustain its “destination” status even in the face of ferocious competition. Lease tenure varies from 3-9 years depending on the brand and category.” “Visibility is an important factor when it comes to choosing the space in a mall. 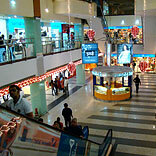 We, at Moments Mall, have the rental as - Rs 200-300/sq ft for the ground floor,” he further adds. Yogeshwar Sharma, VP - Commercial and Leasing, Citywalk, opines, “Like there is a proportion for every category of products one needs, the mall should be laid out in a similar proportion. For instance, the proportion of merchandise in a wardrobe can be considered here. Like five optical shops on the same floor makes no sense. However, there must not be any monopoly too.” Citywalk is based on a 100% lease model, however, right beside Citywalk – MGF Metropolitan is based on a 100% sale model. “The lease model gives us the opportunity to have a revenue share model with our retailers and also, our interests are aligned with the partners,” says Sharma. Some crucial points to be considered, as shared by Sharma, are – know your customers including their customer habits; facts about retailers like how aggressive is their approach, how flexible they are, etc. Answering the question as to how the anchor tenant is chosen, Arora shares, “The anchor tenants are chosen based on customer and demographic research and competition analysis. Ours is a mix of anchor category -Departmental stores, hyper market, large MBOs, consumer durables & IT, food court, family entertainment, etc.” “The criteria of choosing a flagship anchor at Moments is also based on creating both merchandising variety and enduring categorical strength in the mall relevant to the primary target segment,” he further states. Coming to the difficulties faced by malls in sustaining retailers, Sharma says, “If the retailer is not willing to change and has a specific mindset, he may not be conducive in accordance with all the catchment.” Interestingly, Sharma points out that every 5 kms the catchment changes - further implying that according to the concept of the mall, the study of the target group is of utmost importance. Sharma adds, “When the mall and the retailers come together, it becomes much easier to market the mall, synergising the strength of the retailers – cohesive effort to bring people together.” “We consider our mall to be a third home for people, being event oriented too and not just a place for selling or shopping,” he further states. We caught up with a few retailers present in malls to understand their perspective. “Location of the mall, catchment area, how the mall is positioning its image i.e. luxury mall, which vanilla brands have signed and definitely history of mall management etc. are few factors that a retailer looks into before buying the space,” says Natasha Shah, MD, The Nature’s Co. Apart from the points mentioned above, Vaibhav Tiwari, Brand Head, Crabtree & Evelyn, India shares that the mall’s tenant mix plays a crucial role. “We need to be alongside the right brand mix. Also, the image of the developer is an important factor which includes their market rating , previous projects and the way they promote themselves,” adds Tiwari. Another area is that how much do the rent figures and the footfalls contribute as the factors involved? “I won’t say that one can totally rely on footfalls as serious shoppers and conversions is what actually drive the sale and not only footfalls that come to hang around in a mall as an entertainment centre,” shares Shah. However Tiwari feels that the rentals and footfalls absolutely are key factors to be considered. “Especially in India, rentals play a crucial role. As opposed to global standards where the rentals should be 5 – 10% of your sales, in India due to dearth of prime retail avenues we end up paying 30-35 % which is a huge factor that affects our sustainability in the long run. Footfalls are always a vital factor; however, it’s not just about the volume but also the quality of walk-ins that make the big difference,” he further shares. Varun Sharma, General Manager, The Body Shop gives a crux and says that assessment needs to be done in a very subjective manner and all decisions should be far sighted.